FairyFoot's Christmas/Seasonal card list 2016! It is perhaps a bit early (OK, not that early considering the shops here have Christmas stock in and on the shelves already), and I am a sucker for sending post but it is October now (at least on this side of the pond). So, who wants a Christmas card or wintery seasonal card (and maybe even a letter) from me this year? I have quite a few different issues of stamps including miniature sheets (shock horror, I do break into them to use some for postage - do say if you are happy for me to use these individually as postage) available to use for postage and can attempt to use themes you are interested in. Some of themes I have - various Great Britons (a few differently titled issues), Prime Ministers, service uniforms, World War 1 commemoratives, Merchant Navy, Shackleton's adventures, various sporty stamps, album covers and Pink Floyd, places, bridges, some postal history marking 500 years of Royal Mail, Doctor Who & Star Wars, Magna Carta & Great Fire of London, various nature & wildlife, various children's interest issues including The Twits, Gerry Anderson, comics, dinosaurs, Beatrix Potter, and soon to be issued Mr Men and the Little Miss series. Christmas stamps come out in November but as yet, I do not know the secular theme for this issue. Postage may be made up additionally with Machin stamps. 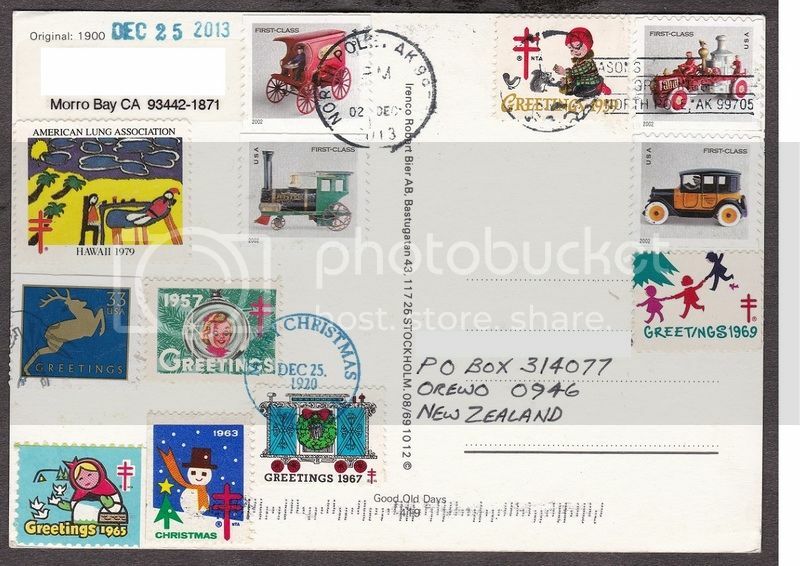 The only thing I ask for in return is a Christmas card / season's greetings card with nice stamp(s) used for postage. It would help if you could give suggestions of which theme(s) you would like on the envelope (no guarantees) as I sometimes spend more time deciding on postage than writing the cards! I'd like to jump in on this if for no other reason to get something that isn't a bill or circular in my mail box!!! As far as interests go ... Ships or UK Machins work well for me but it's not like I'm picky. Any nice stamps! 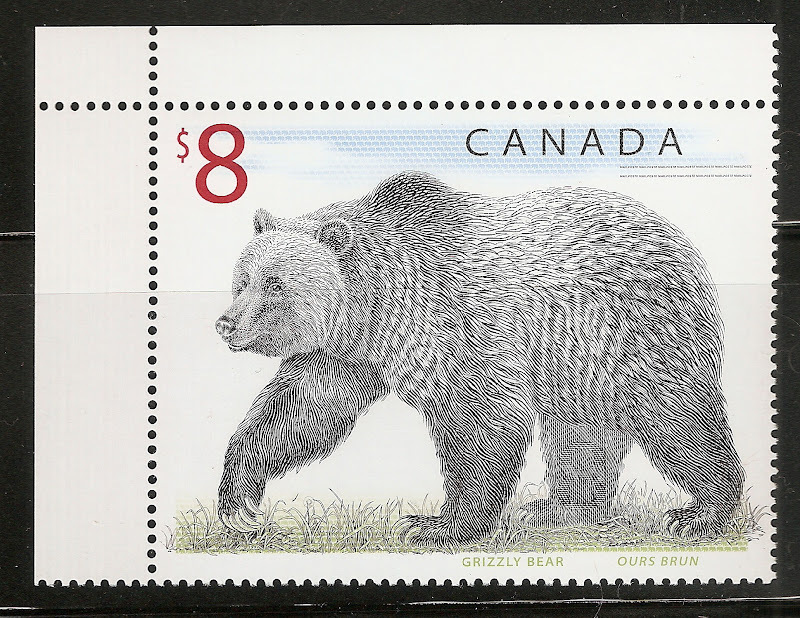 I see so many nice ones on letters (and they stay on the envelopes, although my teenage letters I eagerly ripped the envelope to get to the stamps). Currently more of a stamp user than a stamp putter-in-albums. That's a good thing - I like to frank envelopes with an eye for flair and collecting. Christmas stamps come out on the 8th November! Quite a jolly issue, from what I've seen. I would very much enjoy exchanging some covers with you again, it's been a while. I have changed addresses since the last time however so I'll have to PM the changed address. Is your address unchanged? I collect UK stamps in general and like all of them but if I had to prioritize from the list you gave, I would choose something from this list first: World War 1, Merchant Navy, Pink Floyd, postal history, Doctor Who, Star Wars, & Magna Carta. Can you share what issues from the US you would like to see on a cover? Examples of recent ones include Wonder Woman, Jack-o-lanterns, Star Trek, songbirds in snow, Christmas/holiday issues, cats, pickup trucks, national parks, ice cream treats, Indiana, a remake of an old classic Washington, Earth views, Pluto, etc. Here is a cover you sent me previously! Still at the same address. Today, the Silver Age Wonder Woman accompanied by giant butterfly arrived on doormat. I've received some of the planets/astro, also national parks and Indiana, and ice cream naughties.... but have all of the Star Trek already Most of my penpals are in the US but so far, I haven't had any of the cats issue (wouldn't mind the grumpy cat looking one!) and you can't have too many stamps of moggies either! I'll get my thinking cap on for stamps to use for you. Plenty of choice there! Sounds great! I'll get some cats lined up in the next couple weeks. Do you still do a lot of postcrossing too? I have been thinking about starting up again. Although I am fond of Postcrossing, I get more meaning/satisfaction out of letters. I don't really collect postcards (but have kept all that have been written to me, and most of the unwritten ones too). I haven't sent a Postcrossing postcard in over 2 years. 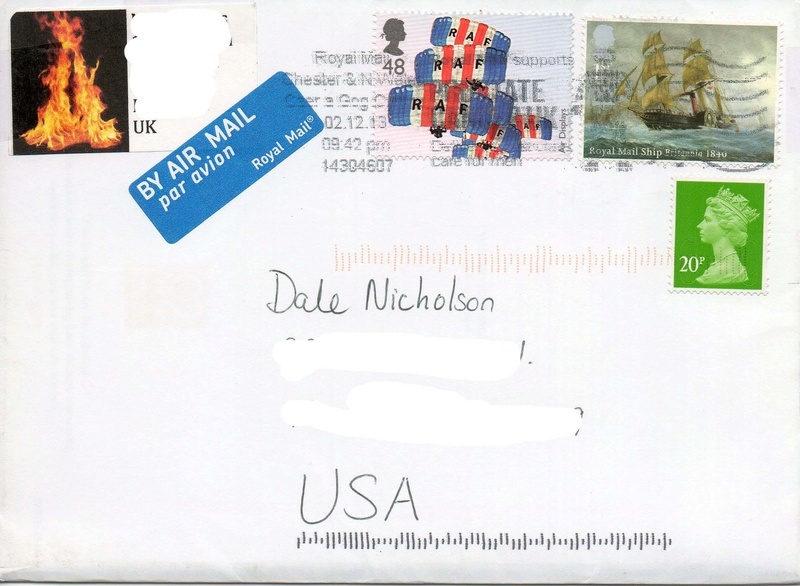 Royal Mail put postage up quite a bit - reasonable for a letter, but for a postcard... 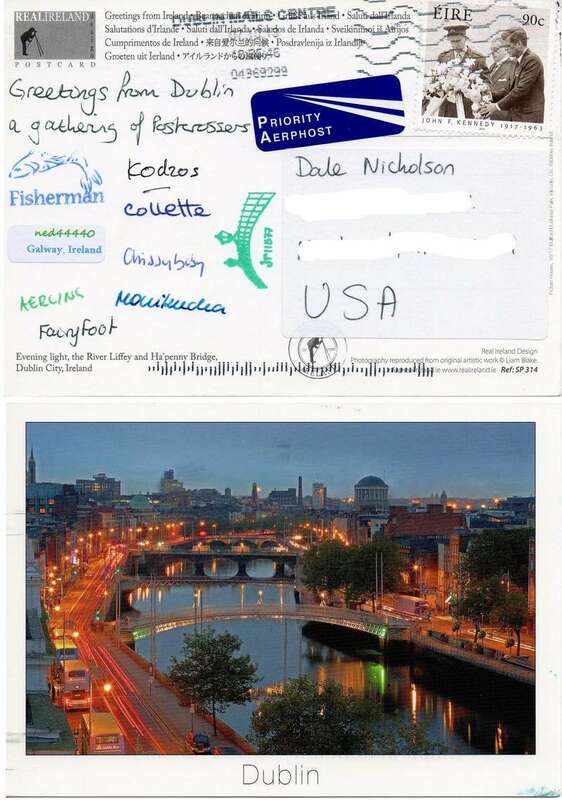 I would love to go over to Dublin for another Postcrossing meet. Christmas postcard sent to me from the 'North Pole' 2013..........Santa stuck some special seals all over it. Any more takers? I want to get my cards out in the first few days of December. Please add my name and Mya to your list. Please send me a PM with your address. Mya wants her own this year. Any Christmas stamps would be great.